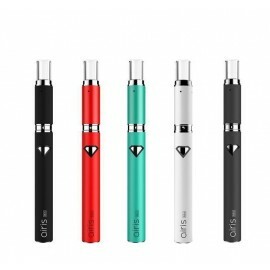 DRY HERB VAPORIZERS There are 18 products. VAPEKEY'S Sleek design conceals vape cartridge when closed. An attached keychain hook allows for easy attachment to lanyard, keys, or anywhere else. When the cartridge is in the closed position the VAPEKEY FLIP MOD looks like any standard car key fob, ready to go with you wherever you'd like. The V12 Mini is a smart pipe made of heat-resistant high borosilicate glass that can be loaded with up to one gram of your favorite herbal selection. No paper. It's so small and compact, you can easily conceal it in your pocket or purse. The V12 Mini Twisty Blunt Bubbler Kit is just the revolutionary, compact pipe you've been waiting for! The V12 Mini is a smart pipe made of heat-resistant high borosilicate glass that can be loaded with up to one gram of your favorite aromatic blend. Sigma 4 in 1 combo vaporizer is a great all-inclusive portable vaporizer with many different functionality. 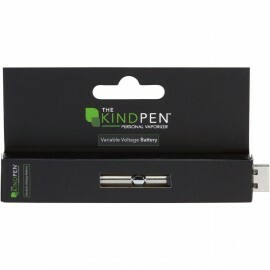 It is highly convenient and very quick to use when you want to vaporize on the go. If you are looking for a fantastic Dry Herb Starter Kit, then the Sima E-VOD AGO Starter Kit is for you. 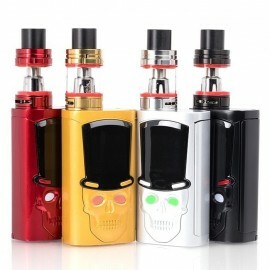 It is an all around fantastic starter kit for anyone looking to get started in the vaping world. 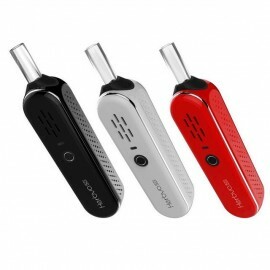 The Rebel 3 in 1 Vaporizer is a extremely useful pocket size vaporizer. This is the complete package and includes everthing you need to vape dry herbs, waxy solids and E-liquids. 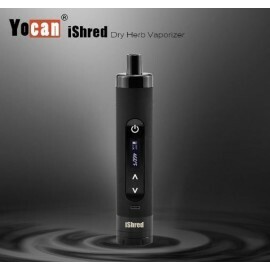 The Yocan iShred brings new convenience to your dry herb vaping with a grinder build into it's base. Shred and vape in one device. The iShred provides a non-combusting vape of dry herb material for a smooth clean hit. 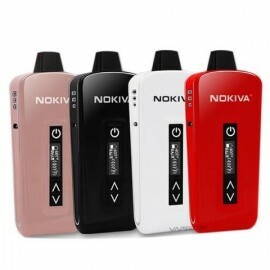 The Airistech Herbva Nokiva is a compact and discreet dry herb vape. It has a ceramic chamber to vaporize the dry herb with conduction to ensure a consistent temperature throughout the chamber. The crisp OLED display shows the current temperature, the desired temperature, the battery level, and the mode. The Airistech Herbva 5G vaporizer is one of Airistech’s newly released portable vaporizer products. This new vape pen is a great option for those looking for a portable vaporizer. It is compact and works great. 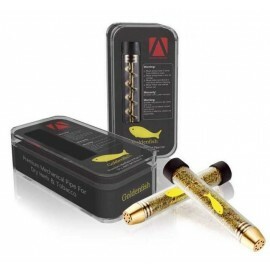 Goldenfish pipe, a portable mechanical metal pipe for dry herb / tobacco on the go. It can separate into 3 parts, is easy to load and clean. This exclusive collaboration comes with the revolutionary G Pro Vaporizer secured inside of an ultra-convenient zipper travel pouch, all laced with a bold camouflage finish indicative of the DGK epithet. Equipped with three variable temperature settings, the DGK | G Pro Vaporizer generates a uniquely-fit, highly enjoyable vaping experience. The Black Scale G Pro Vaporizer combines the industry-leading functionality Grenco Science products are known for with the dark, provocative style synonymous with Black Scale. Presented in a stunning leather-wrapped motif, the design influence of Black Scale has truly taken the G Pro to the next level. The starlight vaporizer is Atman new design vaporizer , in fashionable box style. True vaporizer for both dry herb and wax . The device is equipped with advanced temperature controls from 230˚F to 500˚F in 4 levels which is compatible with both dry herb and wax. The Atman Pretty Plus Dry Herb Vaporizer Pen is designed in high tech, coming with orange alert, to indicate customers when it is ready to vape, and warn us it is getting hot, do not touch it directly. Universal Micro USB Charging Port make it easier to charge. There are 4 air holes on the top air flow. Dip or Dab? Airis can function Both Ways! Use the top mouthpiece when you dab and use the bottom battery as a mouthpiece when you dip.To Dip, you don’t need any extra tools, just press and hold the button to touch the concentrate; to Dab, just switch to the other end of the pen and use with the dual quartz atomizer to dab and vape.